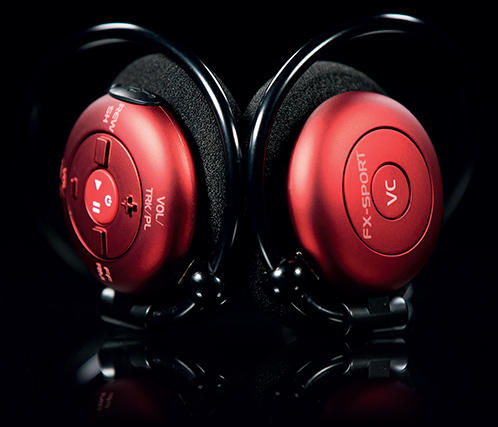 FX-Sport VC Golf Headphones. Latest Golf Training Aid. The First Psychological Coaching Device For Golf. Best Golf Gifts. Introducing the VC GOLF Sport Headphones. The first psychological coaching device for golf. world class golf psychologists, coaches and trainers. Invaluable insight to the "Mental Game" at all levels. How to prepare, focus and implement. 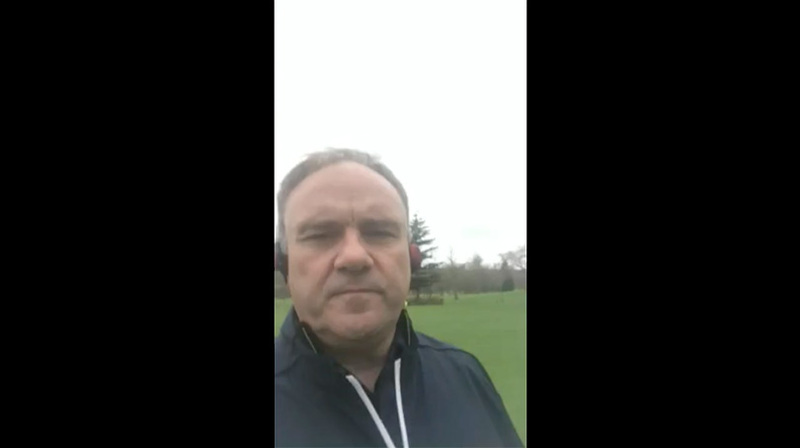 Preloaded with many hours’ worth of psychological coaching, mental preparation, practice drills and workouts, from world class golf psychologists, coaches and trainers. Also arrives with hundreds of other workouts preloaded, in other training categories and for all levels of fitness. How to control your nerves under pressure. The four possible outcomes of a shot and how you should handle each. What to do when your ball lands in trouble. What to do when you start to swing poorly in competition. The most important mental skill for golfers. Misconceptions about Pre Shot Routine. 7 habits of highly successful golfers. Where is your focus during a shot? Self talk on the golf course. Tour player secret to better ball striking. 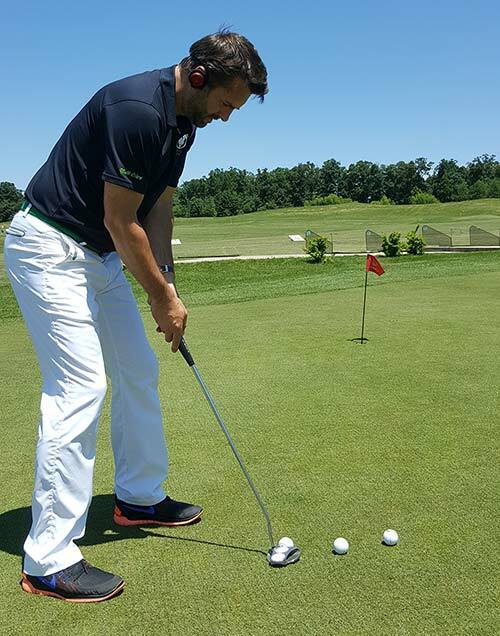 Headphones are preloaded with many hours’ worth of psychological coaching, mental preparation, practice drills and workouts, from world class golf psychologists, coaches and trainers. [see “About The Coaches/Trainers” below]. For the practice drills and workouts, the user can choose to have their own music between the messages of instruction, or silence. Practice drills are all intended for real time use. Each drill has its own time period and messages play automatically at designated times, as the user performs the drills. Many drills are as performed by top pros who the coaches work with. Includes drills for “On the Driving Range”, “Around the Green” and “On the Putting Green”. All practice drills have a strong emphasis on the psychological. Advice on how to focus, what to focus on and what to do when things are not progressing as you would like. Practices may be from 15 minutes up to 90 minutes duration each. Physical and psychological warm ups can also be performed at the same time. Activate a physical warm up from one of the trainers and have a psychological preparation audio playing at the same time [warm up instructions interject over the psychological audio]. Be completely focused when it’s time to approach that first hole. “Off The Course” audio podcasts are also preloaded. Fantastic expert insight on subjects such as those described in the images above and below. Golf Specific Workouts: Karen Palacios Jansen provides her world renowned “CARDIOGOLF” 30 day challenge program. Each workout has 3 levels of difficulty and can easily be performed at home. A fitness screening test and warm ups are also included. 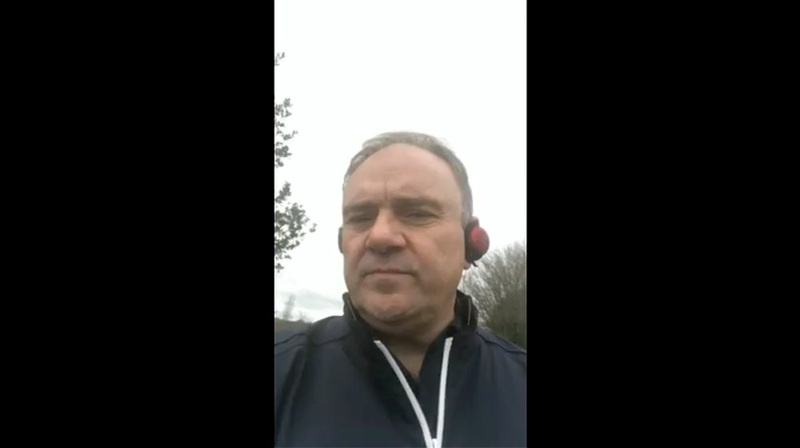 Dr Mark Smith includes some of his high-intensity, short duration training protocols. These are methods of training that are now becoming increasingly recognized as some of the most effective conditioning methods available. Hundreds of other workouts in other sporting categories are also now Preloaded. All of the workouts in our WORKOUT STORE as well as many of the “Real Trainer Workouts” are included. The VC GOLF is fully compatible with all functionality of the VRX model. The importance of flexibility for golf. 11 Reasons to start a golf fitness program. Hydration on the golf course. Golf Nutrition - Change the way you eat. The importance of breakfast to play your best golf. Best Snacks for More Energy and Lower Scores. The best meals to eat after your round of golf for optimal recovery. The importance of balance for golf. 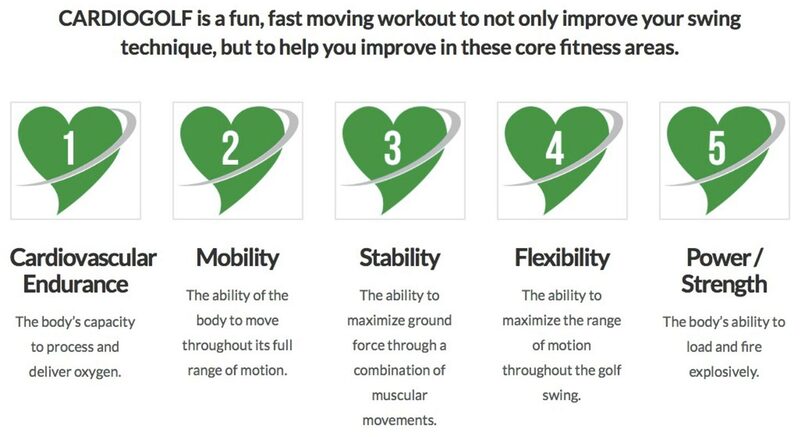 Three keys to golf fitness. The importance of endurance for golf. Warm up for better feel and touch around the greens. Golf specific workouts, each with 3 levels of difficulty. Messages play over your own music. As Featured On The Golf Channel! Dr. Morris Pickens or “Dr. Mo” as his clients affectionately call him, is a Sport Psychologist specializing in competitive performance enhancement. He is regarded as one of the top golf psychologists in the US. Dr. Pickens coaches athletes and business professionals to learn how to “Choose Success” and reach their highest potential. His clients have a combined twenty-seven PGA Tour victories including four majors, over 200 amateur wins and one NCAA Championship. Dr. Pickens received his Ph.D. in sport psychology from the University of Virginia in 1995. During this time, he focused his research and consulting interests in the area of golf psychology, specifically the acquisition of putting confidence. Currently Dr. Mo works with PGA pros Zach Johnson, Stewart Cink, Kyle Reifers, Nick Watney, Blayne Barber and Michael Thompson. He has also worked with Lucas Glover, Kyle Stanley and Chris Stroud. In addition to working with professional golfers, Dr. Pickens also provides consulting to NFL players and collegiate teams, as well as various corporate sales and service organizations. He and his wife Suzanne, have four children. "Whilst practicing, people usually run out of ideas or get bored. practice with drills many of the pros perform." 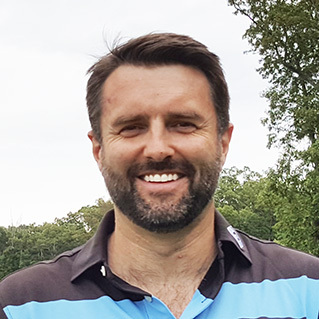 David MacKenzie has been a Performance Coach for 10 years, is a scratch golfer and founder of the highly acclaimed “Golf State of Mind”. While studying at the University of St. Andrews in Scotland and throughout his playing career, David undertook in depth research into sport psychology and how elite performers apply their minds to practice and play. He has interviewed literally hundreds of elite golfers and sport psychologists to acquire an information database. David then created a successful system, which develops mental toughness, improves emotional control and allows a player to quieten their mind during a shot. This enables the golfer to draw upon their best skills and access “the zone” more often. His website quickly became one of the most popular mental game resources for golf on the web and David was able to utilize his audience by testing and proving new ways for golfers to reach the “peak performance” state more frequently. 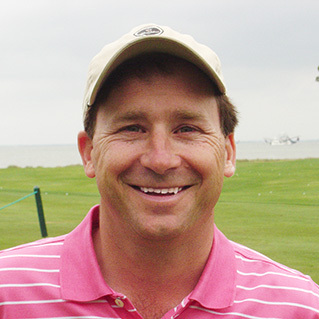 David’s students include many players on the PGA Tour, LPGA Tour, NCAA (college) and many top amateur golfers. pros and amateurs. Your state of mind is crucial at this time. The VC Golf helps hugely with this." Karen Palacios-Jansen was given the accolade of 2008 LPGA US National Teacher of the Year and has been voted as one of America’s top female instructors by Golf Digest magazine for the past 20 years. Karen owns her own golf events company-Swing Blade Enterprises in Mooresville, North Carolina. 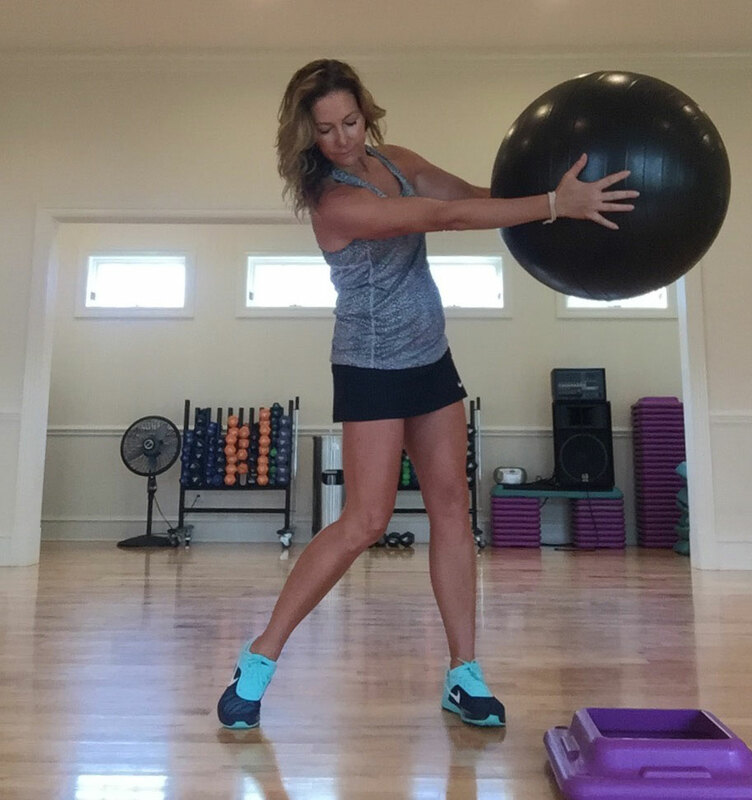 She is a certified personal trainer, a Nike Golf Performance Specialist and has developed a very successful golf-specific fitness system called “Cardiogolf”. As a member of The Nike Golf Advisory Staff, Karen participates in Nike product development and their promotions. 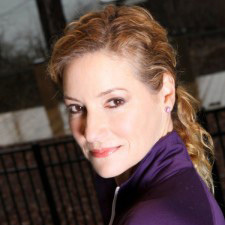 Formerly the managing editor of Golf Fitness Magazine, Karen also has a very popular blog – “KPJ Golf” and is a regular content contributor to Golf Digest Magazine. In addition, Karen is a member of The Golf Writers Association of America, speaks fluent Spanish and has travelled extensively throughout Latin America conducting golf schools and clinics. Karen has taught golf clinics in 12 different countries and helped thousands of golfers improve their game. warm ups and so much more are all preloaded on the VC Golf. when they want, all with their own music." 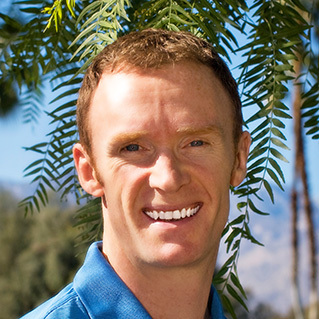 Dr. Mark Smith is an Advisory Board Member and instructor for TPI – the world’s leading educational organization dedicated to the study of how the human body functions in relation to the golf swing. Dr. Smith graduated from Loughborough University, England. He then moved to the US where he completed his master’s degree and doctorate in exercise physiology, both at Colorado State University. Dr. Smith has also worked extensively as a conditioning specialist and health consultant and is recognized as a leading authority on the benefits of high-intensity intermittent exercise and Paleolithic nutrition. Dr. Smith has researched and developed innovative high-intensity, short duration training protocols that are now becoming increasingly recognized as some of the most effective conditioning methods available. 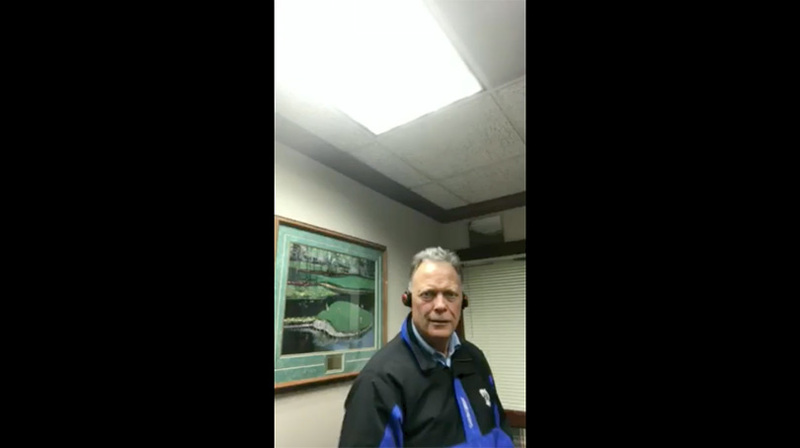 He has lectured extensively on the health and conditioning benefits of this type of training and in particular, as an instructor for the Titleist Performance Institute. Dr. Smith’s teachings have now reached thousands of other health care professionals, such that his recommended programs are now implemented at thousands of health and conditioning centers around the world. Dr. Smith currently has his own practice at The Spa & Sports Center at Mission Hills Country Club in Rancho Mirage, California. and many workouts, including my own programs." Dr. Mark Smith with In Gee Chun and her coach, Won Park.